Oh man, where do we begin with this post? This was a dream trip for the both of us. 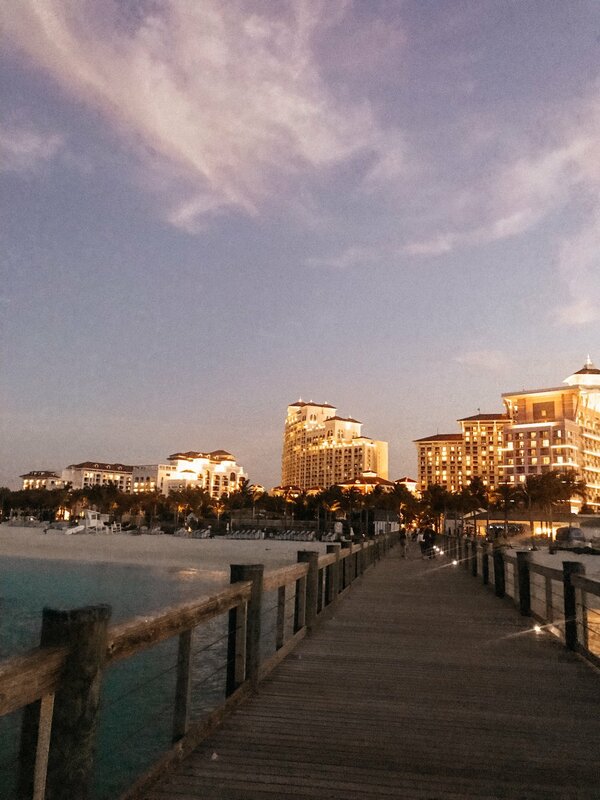 The Bahamas has been on our bucket list for quite some time but the prices weren’t dropping and the total cost of the trip would have been crazy expensive for us. But the Lord was SO GOOD to us! Emily had a friend who won a stay at Baha Mar Resort on Nassau, Bahamas from The Ellen Show and she wasn’t going to use it. We were so blessed that she sold it to us at such a reasonable price. After we had a deal on a place to stay, we watched flights until they dropped and then booked our trip. 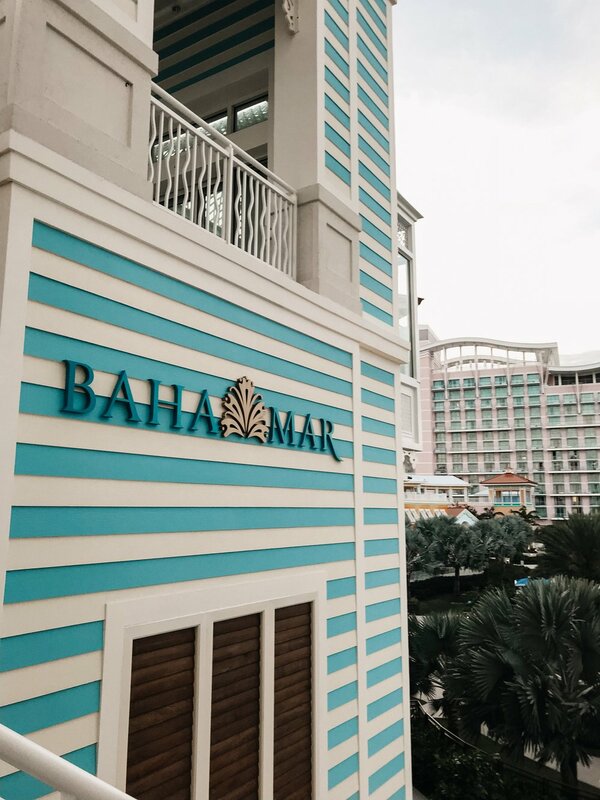 Where We Stayed: We stayed at the beautiful Baha Mar Resort. 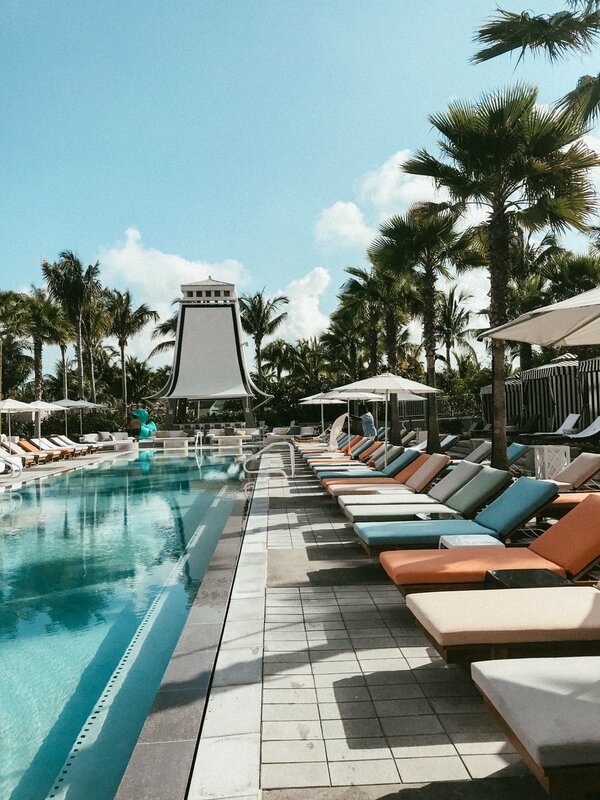 We aren’t normally resort goers, but since we scored such an incredible deal on it, we couldn’t resist. 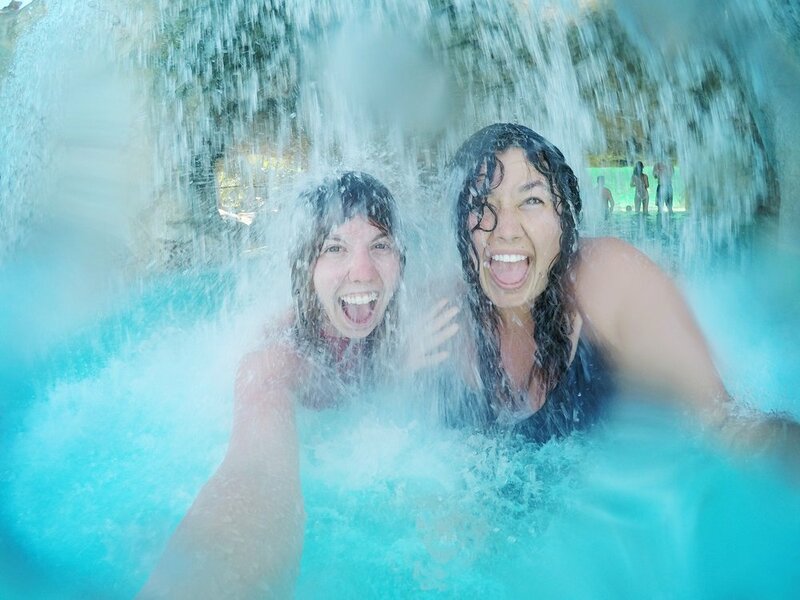 It was quite the luxurious resort lifestyle we never really needed to leave! Private beach with free kayaks, paddle boards, floaties, snorkel gear, lounge chairs, and umbrellas. They had more pools than we could count and endless amount of restaurants. Places We Ate: mostly resort food for dinners, but we did pack a significant amount of food from home and we also went to the grocery store (it’s a longer walk from the resort) to stock up on snacks. But since we were staying in a hotel, we didn’t have a kitchen or fridge. The resort food was so expensive, so we tried to only eat out once a day. Excursions: We didn’t pan excursions ahead of time as much as we would have liked. So once we got there, we tried to book a swimming with shark tour through the hotel, but all were booked! We found availability on our own via Instagram at Stuart Cove Dive. Their snorkel tour also takes you to swim with sharks in the deeper ocean. The 1/2 day excursion was only $50! We stopped 3 times at different snorkeling spots before heading to the sharks. When we got to the sharks, the guide lowered a bait box 30ft under the water and we snorkeled on top of the water. It was such an intense experience swimming with Black Tip Reef Sharks! We highly recommend this company & excursion! Swimming with sharks!! The photo below is the line that we held onto while snorkeling with the sharks. Very organized and safe. Above is a photo we snapped quickly with our GoPro! We had to include this photo…not so glamorous, but this is how we did breakfast & snacks in our hotel room! There wasn’t even a mini fridge, but we made it work. There was a hot water kettle and cups, so we made oatmeal (instant packets we brought from home) sometimes for breakfast. We also brought some reusable containers so we could refill & take those to the beach. We even took our melon to a smoothie stand and had them cut it up for us and we stored it in one of the containers on the go. But we had bought a few melons and felt bad asking the smoothie stand to keep cutting them for us, so we would just drop the melon on our hotel porch to break it open, then we spooned it out in containers! Sometimes you just have to think outside the box to make trips like this budget friendly and sometimes you have to eat avocado and rice crackers every day to keep in your budget haha.